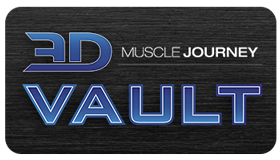 This week, we welcome the second ever guest to the 3D Muscle Journey Podcast, Dr. Mike Zourdos. This week’s podcast is for all of you out there who like science and research. Andrea, Eric and Mike start off with some tips for those who are considering pursuing a higher education beyond the undergraduate level, or potentially a career in research. They discuss the importance of keeping an open mind to mechanistic research, as well as touch on some of the new research currently coming out of Dr. Zourdos’s lab. From here, the group dive into a detailed discussion on training and auto-regulation, and the importance of using science in a conceptual way. What possible new ways of auto-regulating our training might we see in the coming years? Is it okay if an 8-week block lasts 9 weeks? Is autoregulating one’s training through calculating velocity a viable option? Which anthropometric measurements may affect this? All of these questions, plus many more related to training, are covered in this episode!